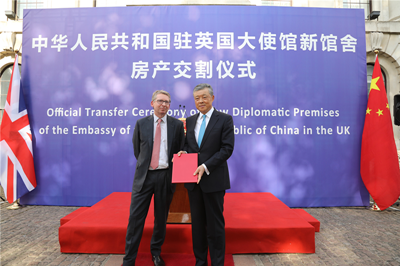 On May 18, 2018, Ambassador Liu Xiaoming and his wife attended the Official Transfer Ceremony of the New Diplomatic Premises of the Chinese Embassy in the UK. 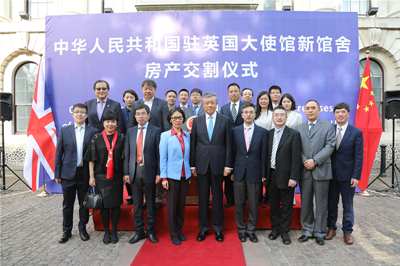 Zhou Bin, Deputy Director-General of the Administrative Department of the Chinese Ministry of Foriegn Affairs, Paul Goswell, Managing Director of former property owner Delancey, and John Biggs, Mayor of the London borough of Tower Hamlets were present. 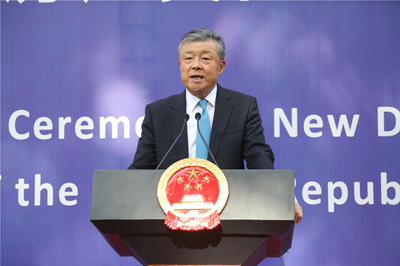 Ambassador Liu said in his speech that the new premises is of epoch–making significances, being a golden fruit of China-UK "Golden Era", showing the new image of China's diplomacy, and embodying China's dream for a harmonious world in the new era. It will become a new landmark in London and a new face of China in Britain in the new era. 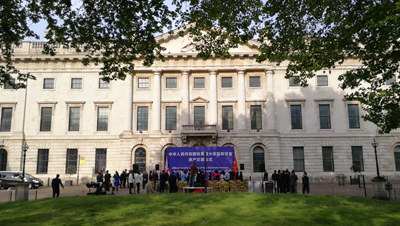 Goswell, joined by the rest of the guests, expressed delight that China has bought the site of the old Royal Mint as the new premises of Chinese Embassy, which is "undeniably perfect for the needs of a prestigious embassy". 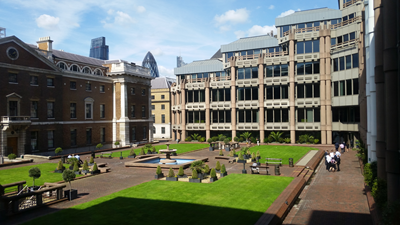 The new premises is believed to be a new significant landmark on the River Thames and a boost to local development.